Forums - different capacitors on tweeter? Just curious...Has anybody out there, replaced the caps on their speakers with a different type? I'm guessing the originals are Solens. Re: different capacitors on tweeter? My MG944s originally had solens. I don't know what Bob is putting in them now. I have Clarity SAs in mine for the moment, but I rarely use the speakers so have not gone deep with them. Since then I did a fair bit of exploration with my main speakers...HR-Ones, which use the same tweeter and mid/bass driver on the front. For them I tried Clarity SA, Auricaps, Obbligato Premium and Mundorf Supreme. I found the Auricaps sort of falsely warm with a slightly electronic and restricted sense. The Clarity SA are really revealing and have a great sense of flow and clarity, but finally seemed a bit in the face and overly clear...a bit too too? The Obbligatos were very good...open, laid back...smooth, I liked them a lot. Hi Will, Thanks for all your input! Based on what you said, I'm going to explore using the Mundorf Supreme caps. They sound very nice, a good fit for the Decware "sound". My MG944s were built in 2008. They have the plinth base with the older style tweeter. I'm going to ask Bob for his comments on this particular version. Thanks again for all your comments. It saves me a lot of time. I don't recall the date on mine...but I do have the plinth. My tweeters are the same as the HR-Ones as far as I can discern. I look forward to what Bob says and your thoughts on the caps. As I think more about it...there is a pretty big difference in the HR-One even if the tweeter is the same as your 944. The rated cap size on the HR is 3.3 and if I remember correctly, my 944 had a 1.0??? So the bypass I used is as big as your whole cap if I got it right, but I am starting from a much higher value. Probably pushing the limit a bit with the bypass too, but to me. In my room, especially with the Mundorf being smooth, liquid, and solid, and less notably bright this sounds great. Alternately, I think the Obbligato Premium was more musical and organic than the Solen... but not as notably toward the warm/dark as the Mundorf. There is something about that Mundorf Supreme though. Really well designed from micro detail to smoothness and solidity to me...But then i used the Obbligatos quite happily for while too! It is smooth, liquid and sweet with more sense of brightness, but not too bright, and no grain to me...more like Italy than Germany engineering-wise??? Will, Thanks for your thoughts. I have not talked to Bob yet, but just left a messaage at Decware to get his number. I do rember reading a few years ago, that the value of the cap in the MG944 is 1.0uF. At least, that's what I remember. The Obbligatos's do sound like they would be very nice, but I'm still leaning towards the Mundorf Supremes. I'll be curious to see if Bob has an opinion about those two caps. 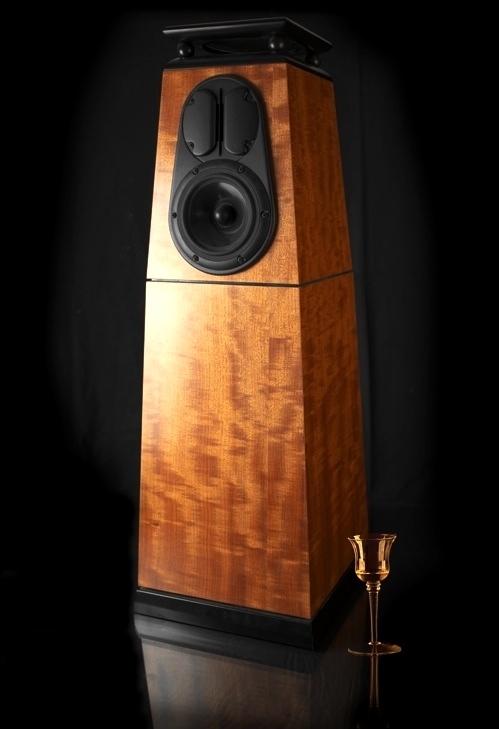 I see that Mundorf Supremes run about $36 for two, which is little to pay for an upgrade on a speaker that now costs about $1450 (I paid just under $1000 for mine in 2008). Oh, and I will ask Bob about bypassing with a .1 or a .22 if I end up using the Mundorf. I'm not sure how to do it, but I imagine it can't be too difficult. Now that you mention it, I am a little confused. It has been a while, and I am not sure I "had It" in the first place. But I believe you will find a bolt on the inside of your binding post unit that has the cap taped to it and soldered between the binding post + and the tweeter +. Now the part that is a bit confusing to me. I believe that if you have a 1.0 cap, and solder in parallel (across it/bypass) a .1 cap, that you end up with a value of 1.1 for the cap combination...so you have made the cap go a bit lower into the low high/upper-mids. Then...If I am not mistaken, the higher value cap (1.0) is doing the big cap job across its value range in the highs, but the lower value one (.1) is only working the very top of the range, so you have better flow in that range...the combo making it sound a bit fresher. I think this is why bypassing a less than stellar cap with a very good one can make the average between the two SQ-wise as close to the good cap as the other. Please correct me if this is off....Anyone??? Will, Would you PM me your number, I owe you a call. My favorite cap on the MG's is the Mundorf Supreme cap. The Supreme has a lot of detail, and removes all the edge from the tweeter. I have also tried and like the Mundorf Tin Foil which give a bit more detail, but doesn't remove all the edginess. Do you remember what type of Mundorf Caps I got from you as an upgrade on my new DM945's (March or April 2012)? I never asked you that at the time. Thanks! Great! Thanks for the info, Bob. Will, I spoke to Bob earlier today. He's a great guy, very informative and fun to talk to. Anyway, he confirmed what he said in the post above, about the Mundorf Supreme making a big positive difference in the MG944. He couldn't remember what the cap value is, but it's something like 1.5 or 2.0uF. So, anybody considering this mod, should unscrew the binding post first, and take a look at the existing cap to see what the value is. No need for a bypass cap (simpler is better), just solder in the Mundorf Supreme and then cut the leads on the existing Solen to remove it. I'm going to order some Mundorfs soon and make the switch. I have a friend who is skilled with a soldering iron, so I'm going to have him do the soldering. I agree, Bob is a great guy and great resource too. Hope you like the Mundorfs, and remember they take a long time to come out fully. I look forward to what you think. I have done a fair bit of exploring with my HR-Ones with damping and caps...at this point they are adjusted to my system, tastes and room, which is the cool thing about rolling stuff to me. They are fundamentally the same, but not the same as they came ....personalized.... but I love to mess around with this stuff! Will, Thanks for the ideas about bypassing with a Mundorf or better cap. What you said makes a lot of sense. I'm going to upgrade the Solen to a Mundorf first, get several hundred hours on it, and then decide what to do about a bypass. So, If the value of the Mundorf I install, is a 2.0, would the size of the bypass cap be something like .2 to .4? Sounds like a good plan to me tgarden. I am no expert, but from what I have read, the general rule is 10% or less for a bypass (to keep from messing with the phase too much???). I seem to have broken that rule with mine, and love the presentation top to bottom, the soundstage is fully saturated and realistic, all the ambient information reads brilliantly near and far...creating space for the players along with all the sense of the recording room that extends beyond my walls....etc, but my speakers are tweaked....well really, at this point my whole system/room is tweaked progressively together and probably bends some people's rules a lot, would not be believable to others, depending on who's rules they are...I mean I use some stuff that works for me that would be hoodoo to some. All I want is realistic sound that engages me fully in the music.....And I am willing to experiment, in fact enjoy it. But I do some serious research before buying anything, and only buy odd stuff on a trial basis, so I am covered for the most part. The research must work though....I rarely return stuff, but the option is important to me. Will, if I decide to add the bypass, I'll start off with that 10% figure. I'm with one hundred precent, as my listening room is (for all practical purposes) the living room. Mine also is joined to the dining/kitchen area, and is the main family hang out when the three of us are together. It sounds like you have your system tuned to right where you want it. When Bob made my HR-Ones we talked about it, and they are wired with the caps and resistor outside the binding post unit, which is important for my story. So I can explore really pretty easily. I have tried all sorts of variations with all sorts of combinations, and I like them all! I have bypassed my baseline 3.3 Mundorfs (and the 3.3 Obbligato Premiums) with .1 and .22 and .33 of different manufactures and types and all the combinations, once I got down to the company and caps types I liked, sounded really good to me. The is important too I think. One thing that seems to work nicely is to use one cap type for the main cap and another for the bypass...once I settled on my choice (at least when I made it) for overall the best for the main cap.... the 3.3 Supreme, I would pass it with a .33, .22 or .1 Obbligato premium ....or a .33 Russian K40Y-9....or maybe a .22, or even .1 tinfoil Mundorf (ZN) for the bypass...shake it up a little with stuff that sounds good for slightly different reasons. I don't even remember why I stopped where they are now, but I bet i would really like some earlier experiments that were 10% or less of my 3.3 original cap value. I have some clarification to do for my confusion over the caps I used, and my comments in this thread! No wonder my speakers sound fairly normal...I did not have an abhorrent value of 1.0 as a bypass for a 3.3 primary cap! Sorry for my confusion and for the confusion this may have created. Right now I am listening to Obbligato Premium 3.3s with a Mundorf supreme .33 passed across the Obbligato and it sounds great. A bit softer, relaxed and more harmonic sounding than the Mundorf 3.3 with the .1 russian bypassing the resistor and main cap, and this is pleasant. The Mundorfs character as the main cap was great too, but a bit harder and more defined, and this was good too. It is like tube rolling to me, it seems that as long as the caps and resistors (or tubes) are decent quality, it would be hard to go wrong...more just having subtle choices to make preference wise, and by changing things up a bit, it can awaken a slightly new way of listening and potentially new musical enjoyment. My MG 944's came with a Solen 2.2. I replaced them with Jantzen Silvers of the same value. Wow! What a difference. Removed almost all the edge from the ribbons. There was not much before. Very smooth now. More depth and air also. Thanks for the tip on the Jantzens...I would like to hear those. I just finished playing around on the HR-1s with many variations of main 3.3 caps bypassed by .1, .22, and.33s. The tweeter on the HR-1 looks just like the one on my 944s, so tonally, I believe these tests should be relevant for the 944 tweeter. The main caps I used after eliminating Clarity SAs and Auricaps previously, are Mundorf Supreme 3.3 and Obbligato Premium 3.3s. The bypasses are Obbligato Premium .1, .22, .33, a Mundorf Supreme .33, Mundorf tinfoil .1 and .22, and last but not least NOS Russian K40Y-9 PIOs.... Their values are .1 and .33. Though any combination of main caps and bypasses have excellent qualities and sound great, in my system there is a clear winner being the Mundorf Supreme 3.3 bypassed with the PIO K40Y-9s. These Russian caps are dirt cheap and in combination with the Supremes the sound is really sort of in another league by my tastes over any other combination or single (unbypassed) cap I have tried. The Russian and Supreme have synergy that is extremely real and alive sounding, being very detailed, but very smooth and musical, slightly rich but spacious, making the atmospheric detail very plausible and pleasurable. This in combination with the accuracy, easy flow, and impressive solidity of the Supremes...it is really pretty amazing in this room. Another conclusion for me is that bypassing with a low value caps is a good thing to do to enliven the sound, relaxing and freshening it. This is across the board on my trials. Bypassing with any of these caps, in my system is a very good thing. I am surprised the paper in oil K40Y-9s are not getting more discussion. I got onto them from Ron Sheldon and cryoset.com, and put them in my Torii MkIII, and I have never looked back once burnin was complete. I keep wanting to put in the Jupiter Beeswax Steve loves so much, but it sounds so good now I haven't gotten up the nerve to take the time to do it. Anyway, I am equally enamored with them as bypasses for the Mundorf Supreme on these tweeters. Right now I have in .33s across the Supremes... but I like the lower key .1 PIO K40Y-9 in various positions just as much for the subtler, but also excellent sound they bring. For clarity of context, I also replaced the Wirewound resistors to the tweeters with Mundorf M-resistors...a very solid upgrade. Also for context, I do have a Torii MkIII....and this amp has a lot of tonal adjustability with treble cut, bass adjustment, AND 5 tube sets. So compared with Amps that don't have all this...especially the treble and bass adjustments....my flexibility gives me a lot of latitude with these tweaks. Even so, after a few days of listening to a wider variety of music, with the tubes I have in now, I decided the .33 K40Y-9 is too high a value as a bypass, taking the highs down into the hissy/sibilance range on hot/hyped recordings. So I am back to the .1 and liking it a lot. I need to order some .22 K40Y-9s to experiment with! Also, my speakers were optimized with 3 ohm resistors for the tweeters, and the Mundorf resistors I have are 3.3 and 2.7 ohms. With the .1 bypass, I find the lower resistance 2.7 really good pulling the tweeter a little more forward of the radial and mid/bass drivers and giving more solidity to attacks and therefore expression of dynamics throughout the frequency range. Sorry for this "writing out loud" and wandering thread, but I hope it is useful for anyone wanting to explore cap rolling.